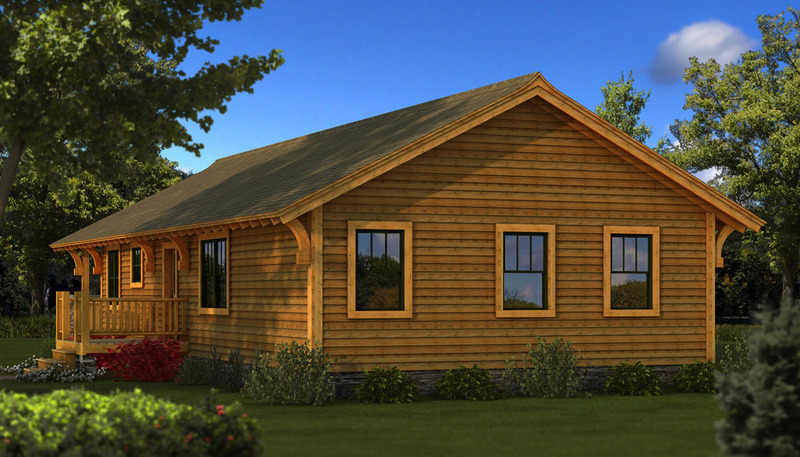 The Bungalow Log Home floor plan features one floor with no basement or loft. 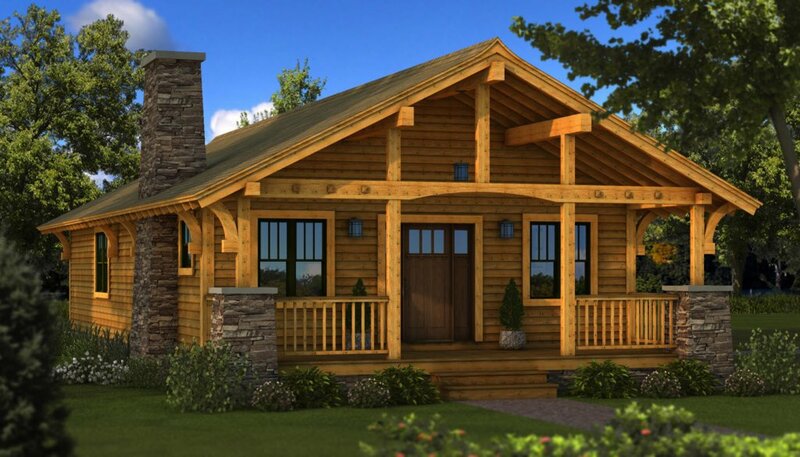 The log home begins with a front porch. An entrance opens to a dining room attached to the kitchen on the right, and the great room with a fireplace on the left. The dining room is separated from the kitchen by an island counter encasing a stove. Toward the rear of the Bungalow Log Home floor plan is a long hallway. 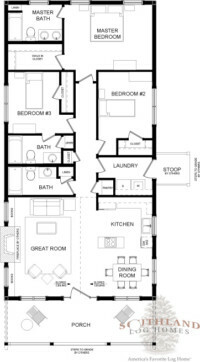 The first room to the left, moving clockwise down the hall, is a bathroom, a small closet, a bedroom with private bathroom, the master bedroom is at the end of the hall with a large walk-in closet and a master bath featuring two sinks, second bedroom, laundry room, and pantry. 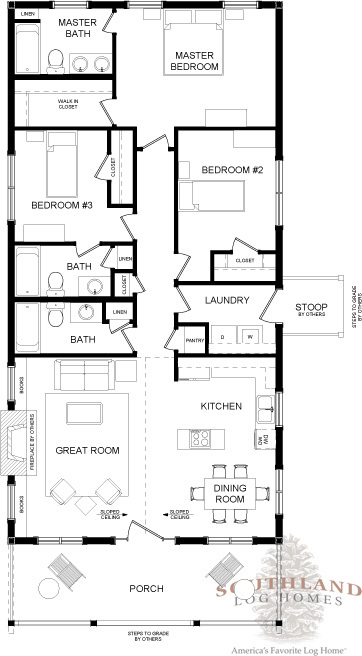 According to the Bungalow Log Home floor plan the laundry room also opens to the outside with a stoop, and can double as a mudroom.